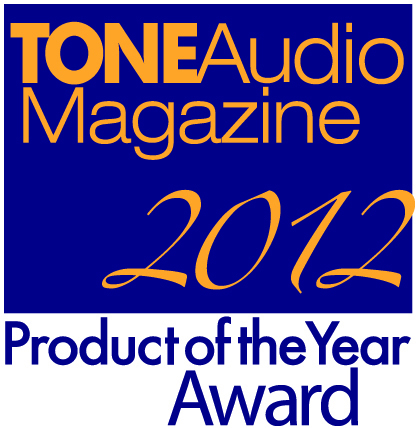 GIK Acoustics is proud of the reputation we’ve built within the industry. Here are a few links to GIK Acoustics product reviews and features from magazines, websites and forums. CNET’s Audiophiliac put together a GIK Acoustics photo gallery showcasing our products in action. Try not to drool as you click through. The February 2018 issue of Pro Sound News highlights work GIK Acoustics did to tame unwanted noise in the sanctuary of Antioch Lithonia Baptist Church. 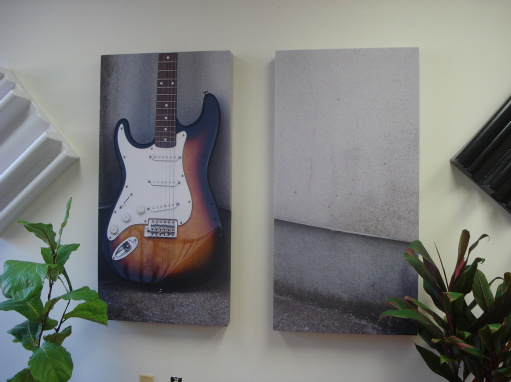 We provided large, custom-sized 242 Acoustic Panels to provide a balanced sound field. The Headliner team has been busy putting together a unique recording space above an ancient inn in the heart of St. Albans which dates back to 1420 – possibly the oldest building to house a professional recording studio. Headliner contributor Paul Watson says, “The guys at GIK Acoustics helped us transform what was an empty, reflective space, into a great sounding room.” READ THE FULL ARTICLE HERE. Headliner is a high value content collective which supports the creative community of artists, music producers, touring and performing arts professionals, and emerging talent. Recording Magazine‘s Paul Vnuk reviewed the Impression Series in the November 2017 issue. Our Mod Geometric design also graced the cover. As Paul says, “Room treatment… is equally if not more important than gear purchases.” Read the full review – complete with photos – here. Strother Bullins’ latest Studio Showcase features Marsh Mastering and mastering engineer Stephen Marsh who has moved multiple times into a variety of rooms, using surface-mount acoustic treatments from GIK Acoustics to provide consistency. Writer and audiophile Gary Beard finally took the first steps to treat his listening room. He started off slowly with a small investment of a few Impression Series panels. The results blew him away. Read his full review here. We provided a “Tip Jar” article to Music Connection Magazine called “HOW TO MAKE A RECORDING/MIXING STUDIO SOUND LIKE A MILLION DOLLAR ROOM.” Starting with positioning & setup and then examining where to place room treatments, there is no better impact on the sound in your space than proper acoustic treatment. Our own David Shevyn talked to Hifi Pig about the importance and value of room treatments for hifi listening spaces. Sound on Sound December 2015 review of the GIK Acoustics Evolution PolyFusor. Sound on Sound July 2015 article on Absorbers which includes GIK Spot Panels and how they’re among the best absorbers tested. 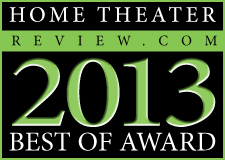 GIK Acoustics 244 Bass Traps with FlexRange Technology were used in a multi-use media room. 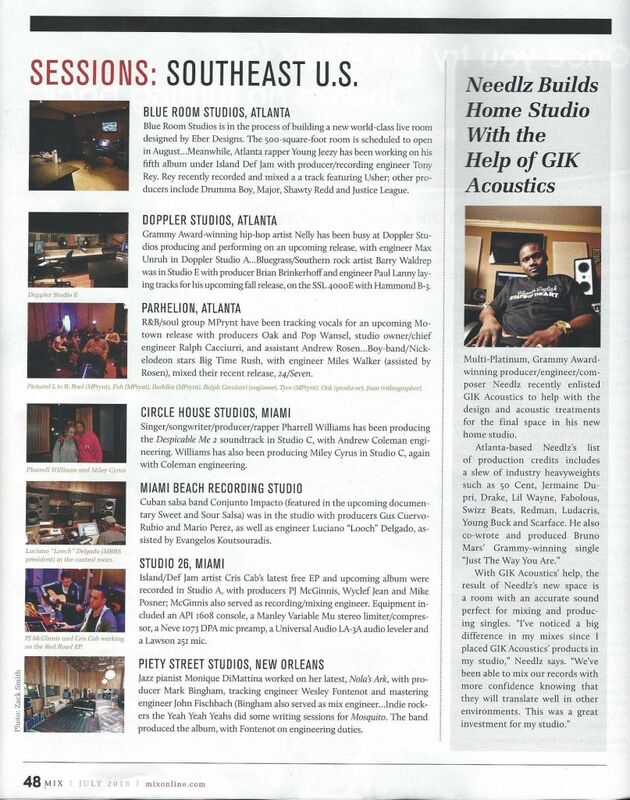 July 2013 feature on GIK Acoustics work with Grammy winning producer Needlz. Podcast which features our very own Glenn Kuras discussing the history of GIK Acoustics, room design and how to achieve great sound with acoustic treatments.